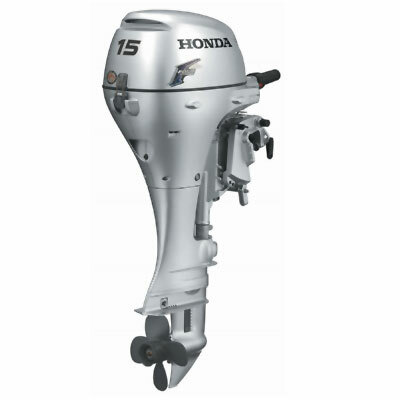 Honda's 15HP is perfect for aluminum fishing boats, inflatables, sailboats, or as a "kicker" for larger fishing boats. Designed to perform better in reverse, especially with the power thrust prop, the 15HP puts you in complete control. And because it's a Honda, you can expect long term durability and clean, quiet operation.